How do mobile app marketers convert a large number of casual users into that coveted group of loyal customers who engage with the brand, make regular purchases and remain engaged month after month - all while fending off the competition? We can show you how. During this webinar we'll help you identify key techniques to “listen” to what users are saying with their actions and behavior. We’ll answer questions like: When is a user ready to recommend you to others? How do you find out when users are ready to deepen the relationship? How do you know the relationship is in jeopardy? 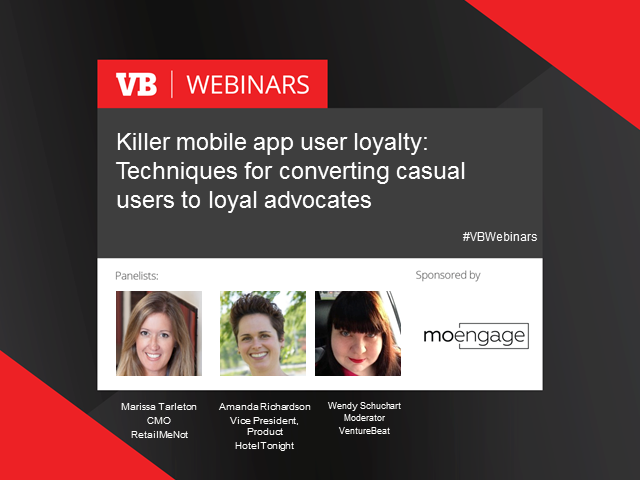 * Learn effective combinations of push, in-app messages and email messaging to drive casual users toward the loyal customer zone and keep them there once they arrive. Register today for a fast paced interactive discussion on how to take your organization's app to the next level.